Julian Clary is a comedian, entertainer, and novelist who has toured across the world with his one-man shows. 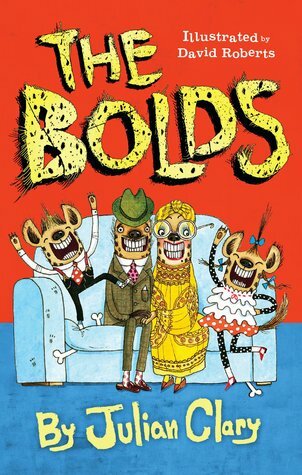 The Bolds is his first book for children. He lives in Kent, England, with his partner, dogs, and several chickens. This is Endy. The bolds was an amazing book. It was about animals living as humans. it was funny and very unique and different. The characters had emotions and you could even posssiblyconnected, because I did. Their motivations fell into the conflict. Ths book had cute little illustrations for the story. The secondary characters were very detailed and they had realistic feelings and interesting storylines. The story flowed at an equal pace and I really loved it. The point of view was third person and it didn't change. The dialogue was good and the characters were amazing.